The crew at Subaru of Spokane is committed to helping our loyal customers to preserve the investment they have made in their vehicles. Here are some tips for protecting that vehicle from the damage of salt used to melt ice on the roads. When the salt on the road this winter gets on your vehicle, it can do more than eat away at the finish of your vehicle. That salt will start to rust metal parts on the surface and undercarriage. 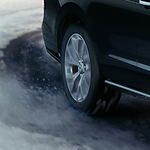 If the salt is allowed to continue to corrode the undercarriage, it will begin to affect the way that the mechanics start working. Driving your vehicle through areas of deep snow can also cause problems down the road. Salt in the snow could be packed tightly into the undercarriage, and if the temps stay cold, the snow never melts. That salt in contact with moving parts can cause severe damage quickly.